Leonard Fournette won't play for the Jaguars on Sunday. 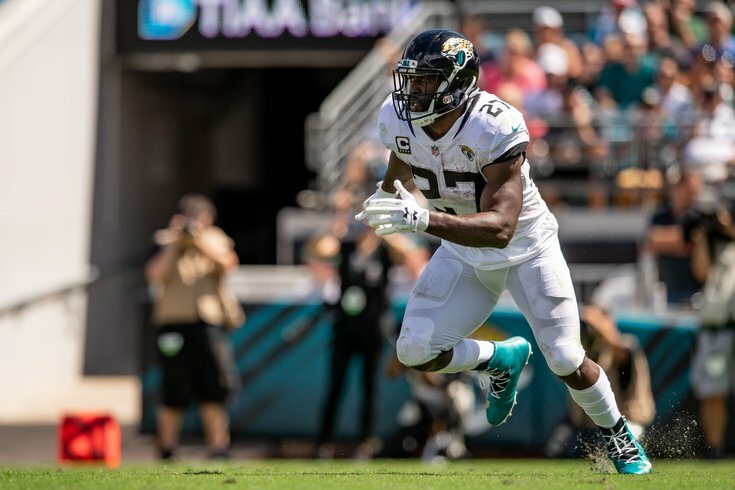 One of the rare teams in the NFL that even come close to matching the Philadelphia Eagles' injury woes this season is the Jacksonville Jaguars, who will be without quite a few starters this Sunday in London. Here's the final Eagles-Jaguars injury report before kickoff. • CB Sidney Jones (hamstring): Jones suffered a hamstring injury against the Giants that will keep him out a while. The Eagles signed Dexter McDougle five days before their matchup against the Panthers, and then he "started" in the slot. We'll see if the Eagles keep that same secondary configuration. 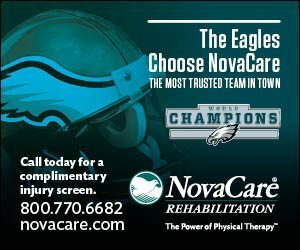 • RB Darren Sproles (hamstring): This will now be the seventh straight game that Sproles will miss, though I'm sure Doug Pederson expects him to return to the field "soon." • S Corey Graham (hamstring): Graham injured himself during the Vikings game. The Eagles remain thin at safety. • LB Nathan Gerry (ankle, knee): Kamu Grugier-Hill won the WILL job over Gerry, so Gerry's loss won't affect the regular defense, but Gerry is a core special teams contributor. • DT Haloti Ngata (calf): The Eagles signed Ngata to be a run-stuffing specialist. Ngata has missed three games so far, including last week's matchup against the Panthers after being listed as questionable. • RB Leonard Fournette (hamstring): Fournette is a former No. 4 overall draft pick who has missed most of this season so far with a hamstring injury. The Jaguars have attempted to build their running game around him, with mixed results. In his two-year career, Fournette has 288 carries for 1040 yards (3.9 YPC) and 9 TDs. • CB A.J. Bouye (calf): Bouye is a starting corner, and a very good one. In 2017, he had six INTs and 18 pass breakups. In 2018, he has 1 INT and 5 pass breakups. The Jags will likely be down three corners in this game. • CB Tyler Patmon (neck): The Jags' corners are further depleted with Patmon down. He had been filling in for D.J. Hayden (noted below) in the slot. • TE James O’Shaughnessy (hip): As you'll read below in the "Notable players on IR/Suspension/Other" section below, the Jags are already without their top two tight ends. O'Shaughnessy is TE No. 3. Prediction: The Jaguars' offensive game plan will not revolve around their tight ends.